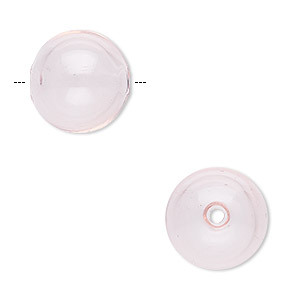 Bead, handblown glass, light pink, 15mm hollow round. Sold per pkg of 2. 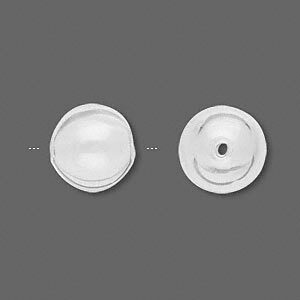 Lightweight and surprisingly tough, glass beads are individually handcrafted by skilled artisans for exceptional quality. Wear as earrings and in multi-strand necklace designs for a feather-weight feel. Sizes, shapes and colors may vary with handcrafted items. 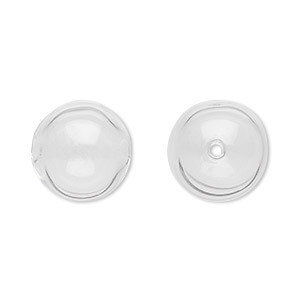 Bead, handblown glass, clear, 15mm hollow round. Sold per pkg of 2. 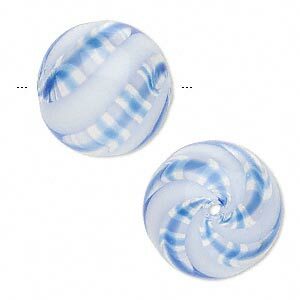 Bead, handblown glass, blue / white / clear, 20mm hollow round with lines. Sold per pkg of 2. 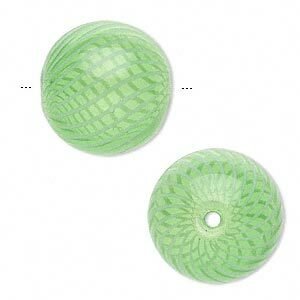 Bead, handblown glass, green, 20mm hollow round with lines. Sold per pkg of 2. 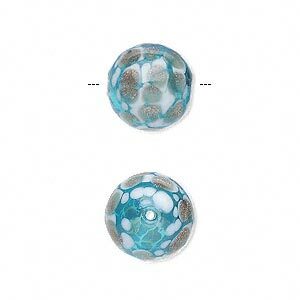 Bead, handblown glass, aqua blue and white with copper-colored glitter, 13mm round. Sold per pkg of 2. 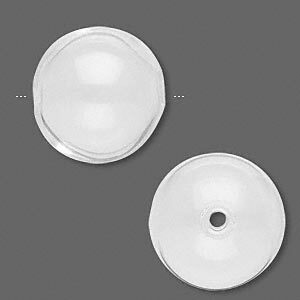 Bead, handblown glass, clear, 20mm hollow round. Sold per pkg of 2. 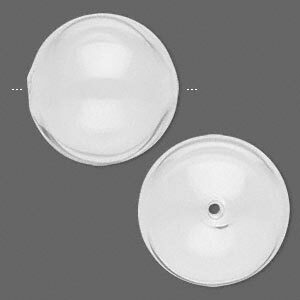 Bead, handblown glass, clear, 28mm hollow round. Sold per pkg of 2. 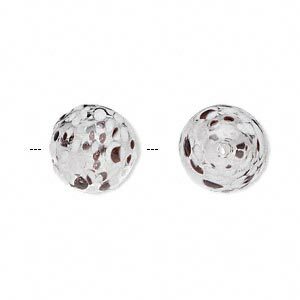 Bead, handblown glass, clear, 12mm hollow round. Sold per pkg of 2. 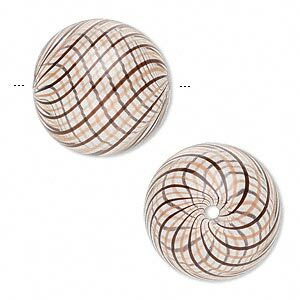 Bead, handblown glass, clear / dark brown / light brown, 20mm hollow round with lines. Sold per pkg of 2. Bead, handblown glass, clear and brown, 13mm round. Sold per pkg of 2. 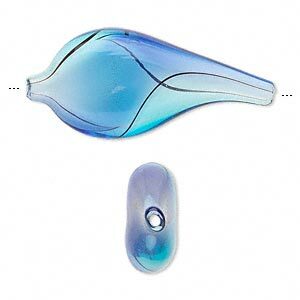 Bead, handblown glass, blue / sky blue / black, 33x16mm hollow teardrop with lines. Sold per pkg of 2.